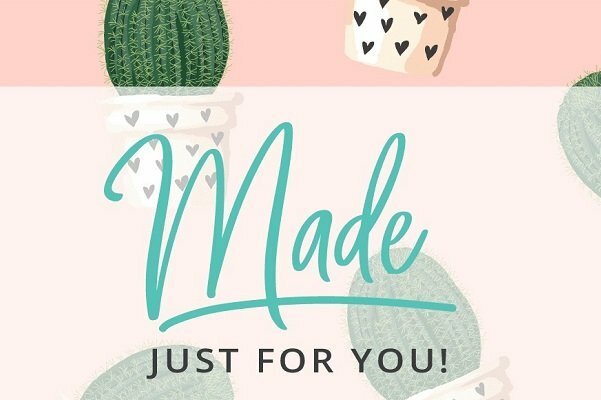 WHY do we make small batches on a regular basis at CELL INFUSE Australia? Well other than the obvious: price, packaging, ingredients, one of the big differences is the manufacturing. It can be unknown for consumers to get transparency on this, as it happens behind the scenes and many companies don’t share these details. But we will always help you understand our beliefs. Although it’s more costly, at CELL INFUSE Australia we manufacture small product batches (rather than large volume/mass production), as we know that ultimately it will result in a better/fresher product for our customers. 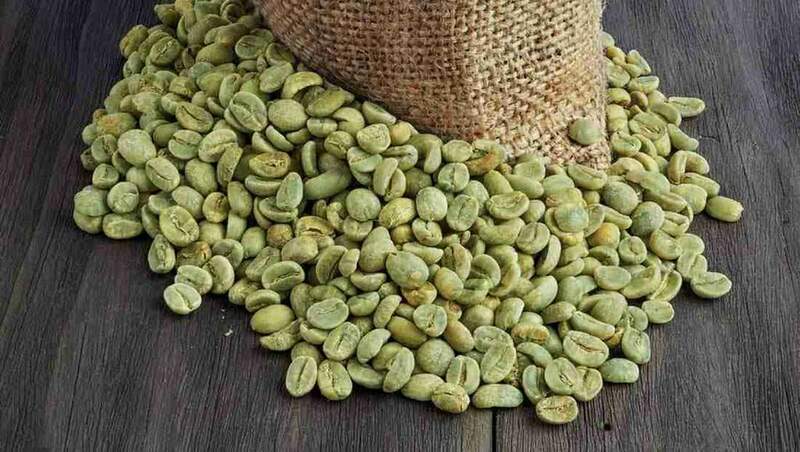 Small batches enables us better control of the quality of the finished product and ensures freshness. This is particularly important for CELL INFUSE Australia products as we only use plant based formulas. You won’t find any harsh synthetic preservatives, only naturally derived preservatives. Similar to fresh produce, authentic natural skincare usually has a shorter shelf life than synthetic based products. And just like the saying “fresh is best” with the food you eat, we believe the same applies to skincare. As part of the process of manufacturing small batches, we individually test each batch to confirm the freshness and make sure the natural preservatives are working to ensure the product will remain free of bacteria and be safe for use. Individual batch testing is a costly process but it’s worth it in the long run. It’s interesting to note there is no industry standard or requirements for this and not all brands batch test. We always stability test etc. Also, small batches means products are not sitting in our warehouse for months at a time before it reaches the customers. Because we only manufacture small batches, this guarantees our customers get only the freshest produce possible. 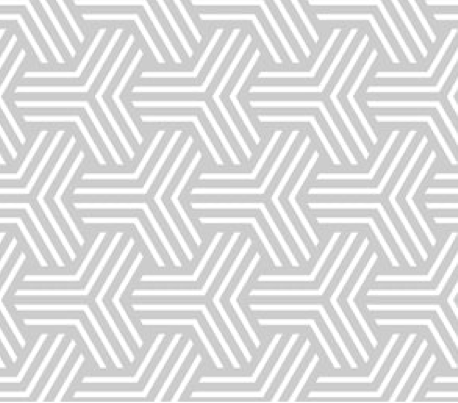 I hope you have found this insight into how we make our products helpful. 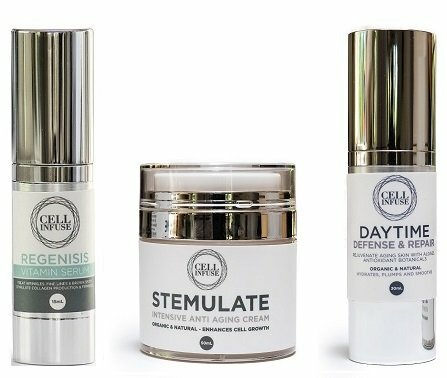 You can view our range of natural and organic skincare products by clicking here. Want to know the secret to staying young inside (and out)? If you’re a long-time follower and read our blogs of CELL INFUSE Australia, then you may already know the answer to the question: What is the secret to slowing aging? It’s a topic I am extremely passionate about and something I hope to explain to as many people as I possibly can! 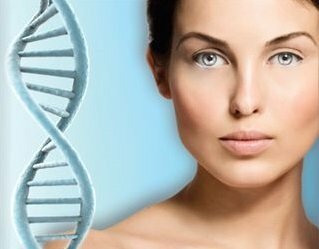 The answer is this: the secret to staying young on the inside – and out – is your telomeres. These are the protective caps at the end of each strand of your DNA. When you are young, your telomeres are long. But every time a cell divides the telomeres get shorter. Over time, your telomeres get so short they can’t protect your DNA as well. When a cell divides, new are defective. You begin to develop the signs and diseases of old age. Aging is not inevitable – here’s how are we at CELL INFUSE are slowing it down, with ingredients I include in your CELL INFUSE products. • Powerful Antioxidants. Preventing oxidation encourages healthy telomeres. • Hydrating botanicals and Native Extracts. • Peptides. Assisting and rebuilding the collagen. I also learned that there are several things we can do in our lifestyles to improve the health and youthfulness of our telomeres. 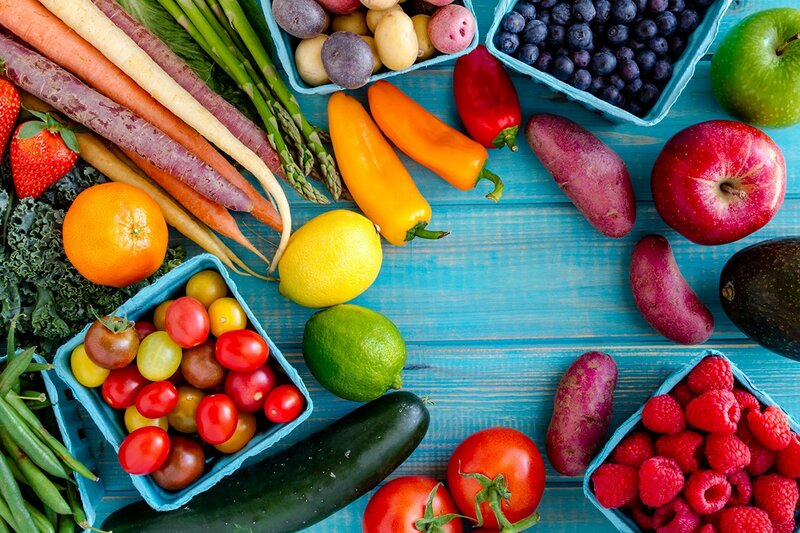 Diets lower in refined carbohydrates and higher in fresh fruits and vegetables are linked to longer telomeres. Also, eating magnesium-rich foods, such as leafy greens, preserves and repairs DNA. Boost your magnesium levels by eating more kale, spinach, Swiss chard and seaweed. Other good choices include quinoa, lentils, almonds, sesame seeds, avocado, spirulina, and dark chocolate. Studies show people who do little or no exercise have the highest risk of short telomeres. Vigorous exercise can lead to longer telomeres, but you don’t have to be an endurance athlete to stretch your telomeres! Short bursts of medium to high intensity exercise can give you anti-aging benefits. I personally include 5 times a week 15 to 18-minute incline in my walk to expand the lungs and strengthen the body. I suggest you build up to this – and don’t use your age as an excuse not to try. I suggest some meditation, prayer or listening to relaxing music. 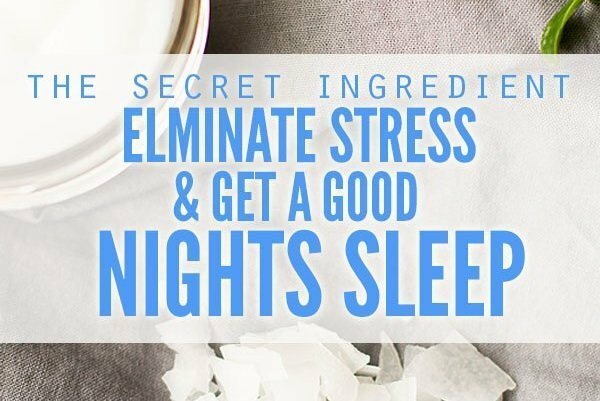 These are the best ways to reduce stress, and can also turn on telomerase activity, the enzyme that rebuilds telomeres and helps rebuild a younger body. Watch this space for a product I will launch next year an identical enzyme to turn on the telomerase in a skin care product. 4. Raise Your HDL Levels. One of the best ways to maintain your telomeres is to raise your HDL (“good”) cholesterol as high as you can, as studies show that people with the highest HDL have the longest telomeres. You might want to consider taking a vitamin E complex called tocotrienols. Studies show that these give your HDL a huge boost. Look for a tocotrienol supplement with as much gamma and delta tocotrienols as you can. • Folate or folic acid is one of the B vitamins. Men with the highest folic acid levels have longer telomeres than those with low folate, according to research. • Zinc, Magnesium Vitamin C,D, K & E are all beneficial to anti-ageing. • Collagen is a group of proteins that together form the building blocks for your skin (and connective tissue). Collagen gives volume, flexibility and strength to your skin and is what makes it look healthy and young. The B’s know to boost firmness and elasticity giving you a youthful looking skin. We know Vitamin B5 is known to be a natural hydrator that will increase moisture hence soothing and regenerating the skin. Generally increases skin quality and gives the skin a beautiful glow. As a result it can make dry skin not only look better but smoother and have more elasticity. We also learn it has the ability to speed wound healing. As we get older, our skin dries out. The epidermis and dermis layers become thinner, which leads to wrinkles. Meanwhile, UV rays from the sun oxidise our cells, leaving us with age spots and pigmentation. Niacin intervenes by promoting the turnover of new skin cells. It repairs sun damage and strengthens the skin’s moisture barrier. All of that creates younger-looking skin. Niacin repairs DNA, preventing the effects of aging at the source. You’ll generate new, healthy skin cells that replace older cells faster. It also dilates your capillaries which increases blood flow, delivering essential oxygen and nutrients to your skin cells. As if all that wasn’t enough, it boosts skin hydration. Niacin increases the production of ceramides – skin lipids that prevent water loss. Niacin is also known to cool inflamed skin. When you use a product with topical niacin in it, you’ll notice your skin looking younger and more vibrant. In one study I read, 50 women aged 40 to 60 used a moisturizer with niacinamide for 12 weeks. It significantly improved fine lines, wrinkles, age spots, texture and red blotchiness. 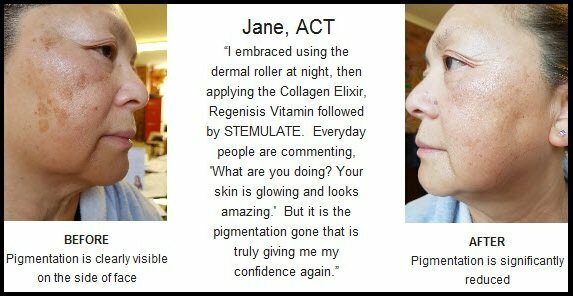 CELL INFUSE Australia puts both these Vitamins in STEMULATE, DAYTIME and Regenisis Vitamin Serum. 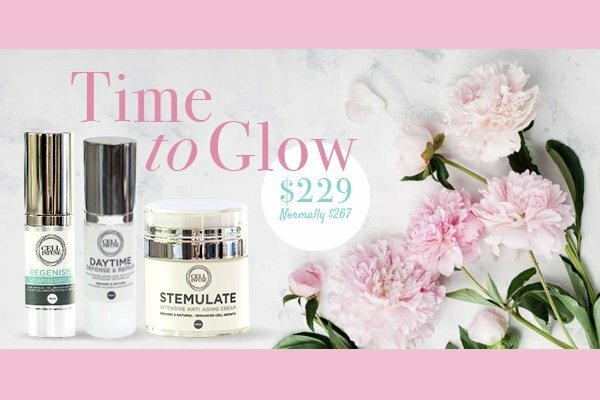 These three products are popular and giving people a Glow and Youthful Skin. Now you know the Secret. 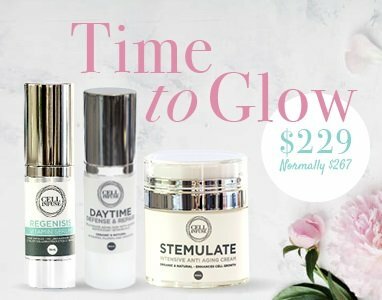 The NEW ‘Time to Glow’ value pack is available now for only $229 (regular price $267). Click here to order now. 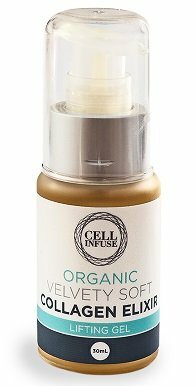 Excitement is every where in CELL INFUSE Australia as reviews from our testing people who have used our Fortifying Emulsion come in. I wanted this formulation to be different but to have dense amounts of Hyaluronic Acid, Magnesium, Pepha-Tight, Pentavitin and Aloe. A sagging face and neck is a major complaint many women have about growing older. Our jawline begins to droop and sag, so do the cheeks and jowls. Let’s take a look at what this product ingredients will do for you? 1. H.A. (Hyaluronic Acid) keeps collagen synthesis up, as well as packs a ton of skin-boosting benefits, including mega moisture! 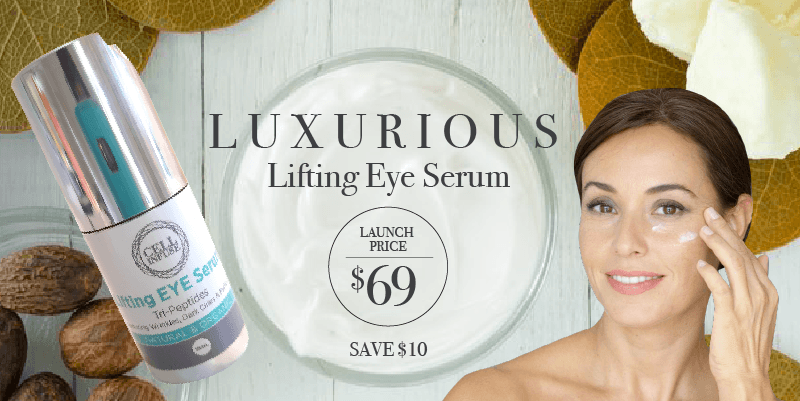 It’s become a popular ingredient, for its superpower hydrating and anti-aging abilities. 2. Magnesium assists the product to absorb, also helps us to have healthy skin and reduces outbreaks of eczema and psoriasis. 3. Pepha-Tight, an all-natural instant skin tightener new to many formulations. Pepha-Tight it is one of the most effective anti-aging skincare ingredients for those looking for immediate tightening. 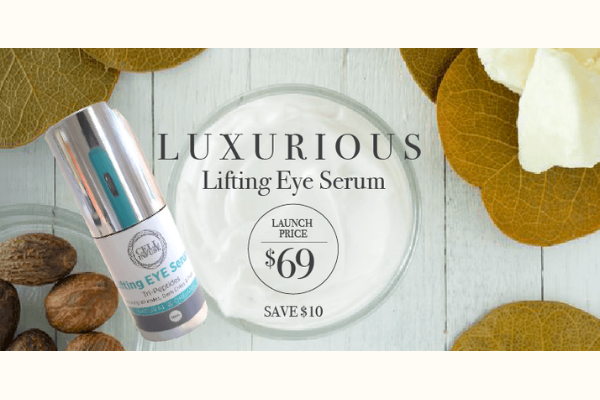 Not only does it have immediate firming effects, but it improves elasticity over time giving you two anti-aging advantages. 4. Pentavitin ensures instant, deep hydration that lasts for 72 hours. 100% natural & plant-derived. Also known as Saccharide Isomerate, this is another powerful natural ingredient. Strengthens and protects the skin. Strong improvements to the skin appearance. 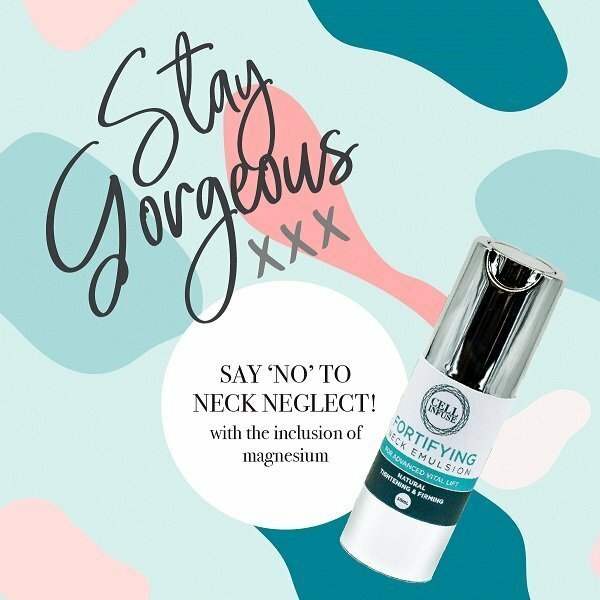 If you have been using the roller and Collagen Elixir with STEMULATE you would have seen great results already but add this Neck Emulsion and take your skin to another level again. Usage of the Emulsion – It can be used morning and night on clean skin. I personally have mixed it with a little CoQ10 Complex and applied to my face and neck over DAYTIME or STEMULATE. The normal cost of the product will be $69, but we are now offering it at the special introductory price of just $59. 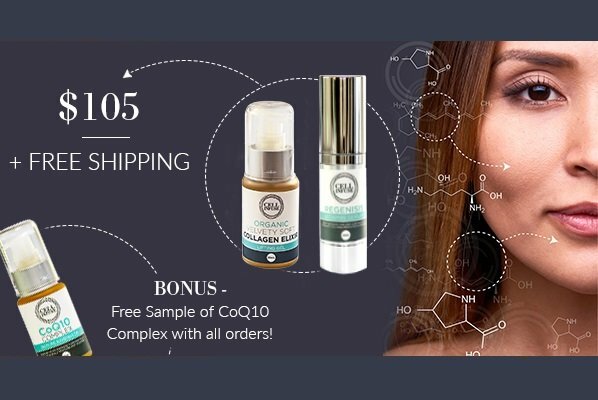 PLUS you will receive a 7ml CoQ10 Complex FREE with all purchases. Click here to order now. It isn’t by chance that the best skincare ingredients for a glowing complexion have remarkable anti-aging properties. Drink it, bathe in it or moisturize your skin with it. Green tea and oxidative stress, which those free radicals cause, have an antagonistic relationship. Fortunately, green tea wins when they have a confrontation. Green tea wins, oxidative stress runs away, and wrinkled, saggy skin stays on the sidelines for another day. As an anti-inflammatory, it is also great. Regenisis Vitamin Serum. Like it or not, our bodies host enzymes that live by nibbling on collagen and elastin. As we age, they multiply and develop ravenous appetites. White tea, however, places the enzymes on a strict diet by inhibiting their appetite. While one side of white tea discusses dietary issues, the other side lets loose its catechins, powerhouse antioxidants, to slow down the appearance of wrinkles by giving a lecture to free radicals. The free radicals get bored and run away. STEMULATE, DAYTIME. The stimulating delicious oranges works wonders on your skin. Vitamin C is a great attacker of fine lines, wrinkles and scars on its own, but it also leads collagen, elastin and vitamin E to the charge. Vitamin E depletes during its battle with free radicals; vitamin C regenerates vitamin E’s energy levels. Vitamin C also helps stimulate the cells that produce those lovely, anti-aging benefits named collagen and elastin. Regenisis Vitamin Serum, DAYTIME, STEMULATE. You might better recognize ubiquinone by the name CoQ10. Our bodies produce this coenzyme, but its production, like many other proteins and enzymes, reduces as we age. 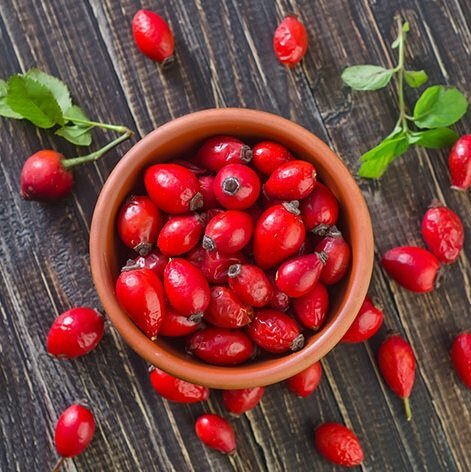 We want this naturally occurring antioxidant because it stops pesky free radicals and revives collagen and elastin production. It also feeds skin cells the energy they need to rejuvenate; it’s great for cells. It ranks as one of the best skincare ingredients for anti-aging. STEMULATE, CoQ10 Complex. Pomegranate oil, rich in omega 5 fatty acids, penetrates deep into your skin. It travels through all skin layers to hydrate thoroughly. While it travels, it protects the outer layer from sun and environmental damage, boosts new cell production in skin’s inner layers, softens your skin and has a motivates collagen and elastin to inspire increased production. A pomegranate’s ability to do just about everything makes it one of the best skincare ingredients for a dewy complexion. Glow Mask, Regenisis Vitamin Serum. Did you know your skin is made up of 75% Collagen? I never stop researching the research and today I focus on the percentage of collagen in the skin… I have become so very passionate about how we can increase the Collagen in our skin, hence the introduction of our bringing onto the market our Collagen Elixir a few weeks back. This Elixir contains a number of 100% natural Plant Extracts having gone through a unique extraction process keeping the extracts very potent and active. 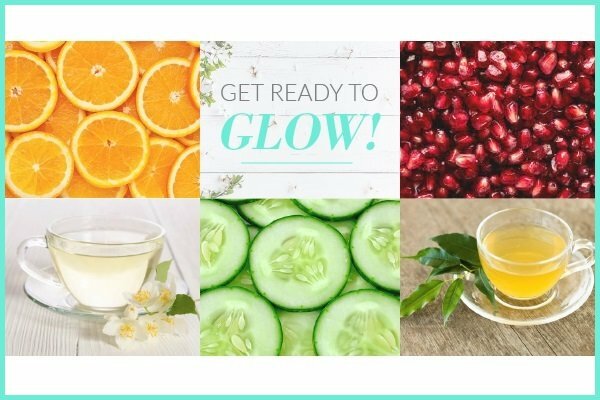 Some of the world’s highest source of Vitamin C.
Packed with powerful polyphenols and their derivatives, these extracts are changing the direction of natural skin care enormously. How else can we get that Increased Collagen Production in Your Skin? Is Vitamin C the only way to assist with the rebuilding of collagen? Many people think of CoQ10 as a supplement you take orally. But you can also use it topically. 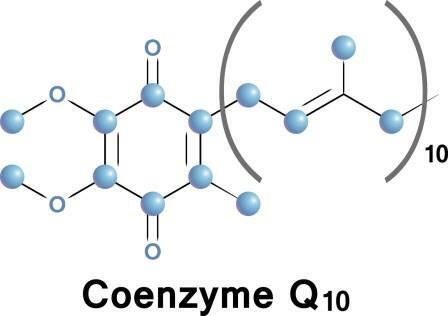 You see, CoQ10 is a small molecule that easily penetrates the skin’s surface. It gets down to the living layers of the epidermis. It absorbs quickly into your skin cells. 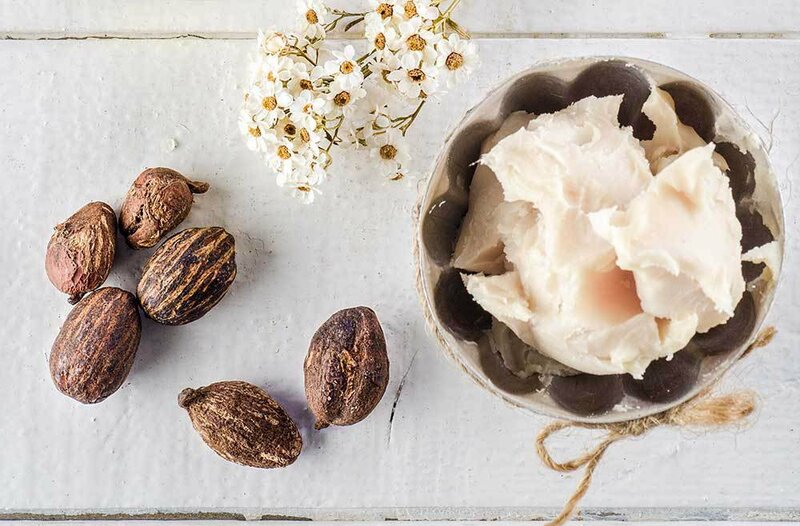 A Japanese study found that applying CoQ10 to skin cells boosts production of a special type of collagen that connects your skin’s outermost epidermis layer to its deeper dermis. It anchors your skin so it doesn’t sag and wiggle around. It visibly reduces crow’s feet and wrinkles. This contains retinoic acid. This can help tighten skin and improve elasticity. It also helps reverse collagen damage. In a double-blind, placebo controlled study published in the New England Journal of Medicine, daily use of retinoic acid increased collagen production by 80%. One of the best ways to replenish lost collagen is with vitamin C taken orally. Duke University researchers found that vitamin C boosts collagen production regardless of age. 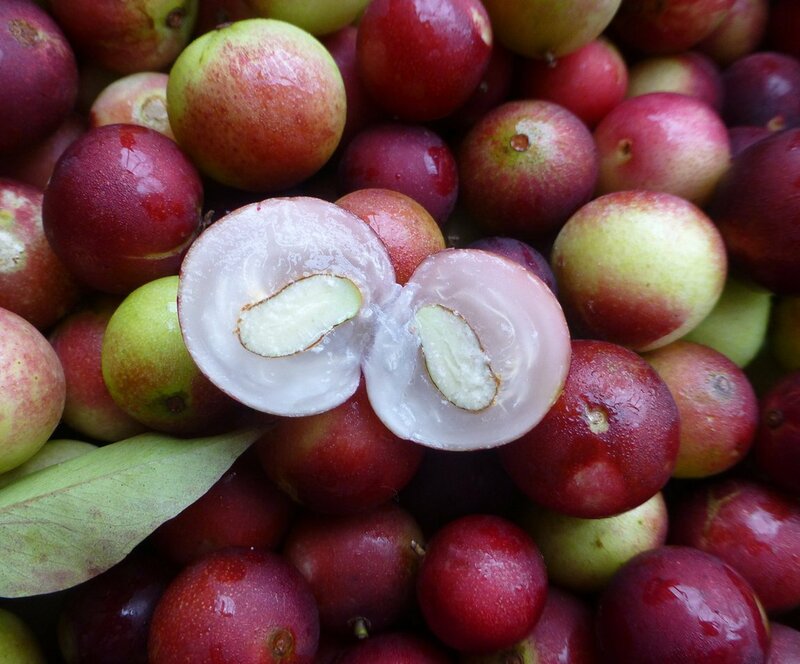 The best source of vitamin C I’ve found for your skin is the Camu Camu. It helps rebuild collagen to firm your skin and smooth fine lines and wrinkles. 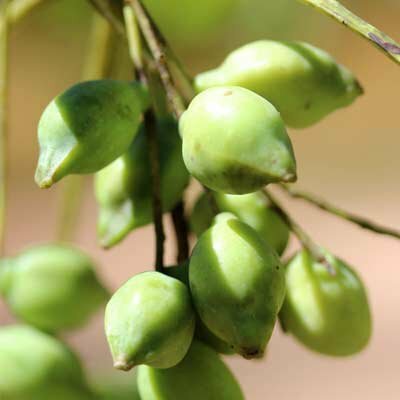 I enjoy Camu Camu in a powder form, Look for it online and in your health food store. I like to add the dried powder to my Protein shake of a morning. Start off slowly then increase over time. It is considered we can consume up to 3,000 mg a day from supplements and food. This will also greatly help to produce collagen to repair and rebuild your skin. Today we put two powerful Collagen building products together for you to see the benefits personally. Regenisis Vitamin Serum and Collagen Elixir at a special price. 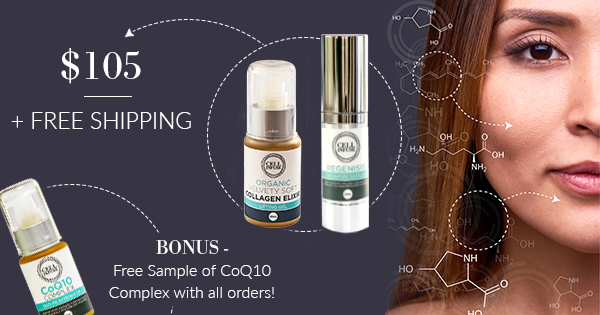 Plus you’ll receive a bonus CoQ10 sample and FREE SHIPPING! Today, we focus on collagen, the most abundant protein in our bodies, and the main extracts in exciting new Organic Collagen Elixir. Think of collagen as scaffolding for the skin providing strength and structure. I formulated this product with all concentrated extracts to bring elasticity and firmness to your skin. This product is different to the primer, whilst the main ingredients are similar, they are in a much more concentrated form. It is very concentrated. Collagen is responsible for the skins density, firmness and elasticity. Through the years of life the quantity of collagen decreases and the skin becomes limp and dry with visible wrinkles. 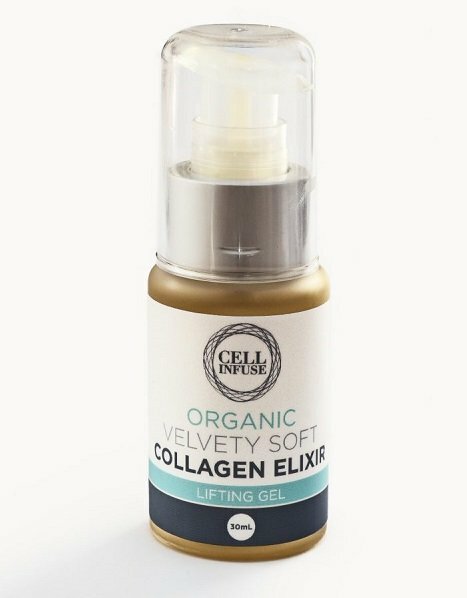 Our Organic Collagen Elixir is an advanced product for the face, neck and décolleté which, due to the high content of nutrients to increase collagen levels, powerfully regenerating and rebuilding the structure of the skin, providing a deep and lasting effect. The benefits: Slowing down the ageing process, rejuvenates the skin, reduces and smoothing wrinkles. This soothing, highly concentrated formula offers exceptional hydration because collagen retains 30 times its weight in moisture. 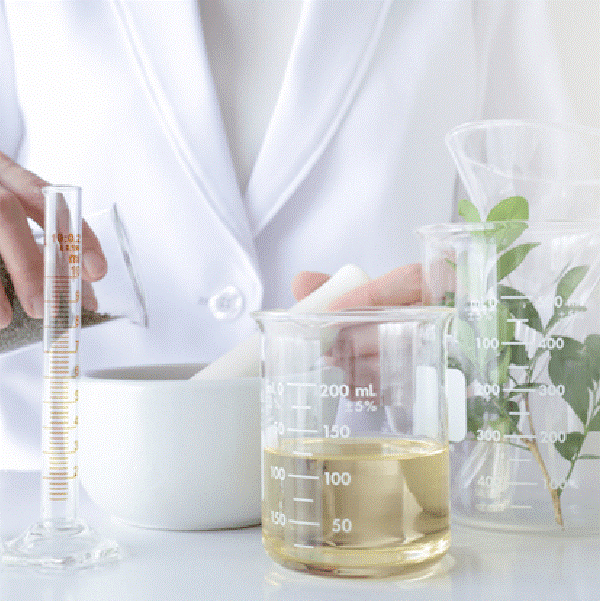 Scientifically tested, our concentrated extracts Phyto liquids are pure and stable. Historically, many ‘active ingredients’ have been diluted or contain additives – ours do not. This ensures their benefits have not been compromised and products that contain our extracts in their truest form will be more effective than ever before. They are 100% active. 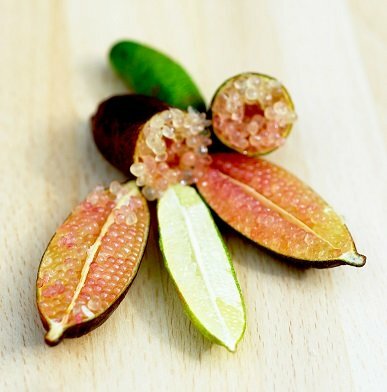 Finger Lime Caviar Extract is full of vitamin C and lots of antioxidants, B & E vitamins, to assist inflammation. Snowflower Extract concentration contains super antioxidants called catechins which are 100 times more potent …than vitamin C and 25 times more potent than vitamin E.
Kakadu Plum, this special fruit has recently made global Cosmetic breakthroughs with it’s water-soluble phyto-actives and recording the world’s highest source of Vitamin C.
The unique extraction process these extracts goes through allows us to offer fresh un-preserved extracts. This gives you the confidence that your product is 100% pure and active. Not many companies will go this far. This new Elixir blend with potent extracts offers something exciting for hydration, de-pigmentation, collagen synthesis, whitening and brightening, wrinkle reduction and anti-aging. This is so very exciting as the potent, active benefits are there for you to enjoy and see the amazing benefits. I will never compromise what I put into my any formulations… Enjoy for yourself!! 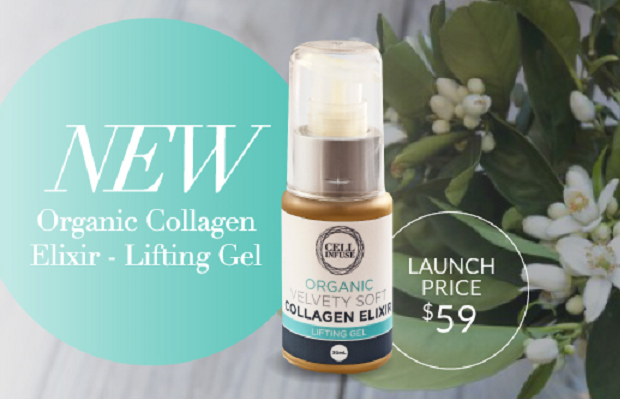 Click here to order the NEW Organic Collagen Elixir at a special inroductory price. 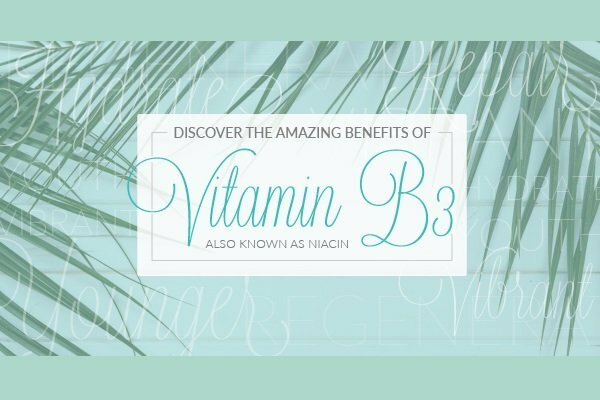 The amazing benefits of Vitamin B3 also known as Niacin. Around 10 years ago, I was doing some scientific testing of people’s hearts and looking at their circulation. I would encourage those that required it to take niacin (niacinamide) and ubiquinone (CoQ10 Complex) and most times their heart health improved significantly in only a few weeks. However, I also noticed another benefit that took many women by surprise. They developed a great sense of well-being and looked years younger. I was seeing first-hand how niacin rejuvenated their skin. As we get older, our skin dries out. The epidermis and dermis layers become thinner, which leads to wrinkles. Meanwhile, UV rays from the sun oxidise our cells, leaving us with age spots. To help you enjoy the benefits of niacin, we now put Vitamin B3 in our Regenisis Vitamin Serum, STEMULATE and DAYTIME.